A couple of members from Andhra Pradesh too were in the well of the House demanding special status for the state. Meanwhile, Lok Sabha also faced repeated adjournments on Thursday amid continuous protests by opposition parties over the Rafale deal and Cauvery issues. New Delhi: Both Houses of Parliament faced adjournments on Thursday as Opposition members continued to create ruckus over several issues. The Rajya Sabha was Thursday adjourned for the day without transacting any business after pandemonium over issues ranging from the construction of a dam on the Cauvery River to violence in Uttar Pradesh’s Bulandshahr district. While slogan shouting members of Tamil parties AIADMK and DMK trooped into the well of the House over construction of Mekadatu Dam on the Cauvery, Samajwadi Party and BSP members raised the issue of mob violence in Bulandshahr that left two dead, including an inspector rank police officer. A couple of members from Andhra Pradesh too were in the well of the House demanding special status for the state. Rajya Sabha Chairman M. Venkaiah Naidu said nothing that the protesting members were saying would go on record and then adjourned the proceedings for the day. “As nobody seems to be interested I have no option but to adjourn the House for the day,” he said before adjourning the proceedings till Friday. 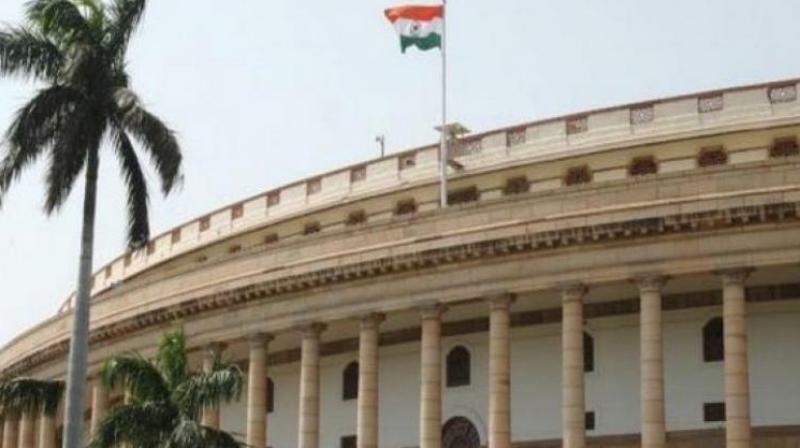 The trouble started soon after the House mourned the death of its former members N. Rajangam and Jai Narain Prasad Nishad and listed papers were presented to the House. Members of Tamil parties shouted slogans from the well of the House, seeking justice for the state over the Cauvery issue while SP and BSP members stood in their places raising the issue of Bulandshahr violence. TMC leader Derek O’Br-ien too was up on his feet trying to a raise an issue but could not be heard in the din. Thursday was the first sitting of the House after the four-day Christmas break. Meanwhile, Lok Sabha also faced repeated adjournments on Thursday amid continuous protests by opposition parties over the Rafale deal and Cauvery issues. Speaker Sumitra Mahajan forced to adjourn the House till 2 pm. after members from the Congress, TDP, and AIADMK jumped into the well with placards and started shouting slogans. Although few members managed to raise certain issues during the Zero Hour, the continuous sloganeering by opposition parties forced Mahajan to adjourn the House till 2 PM. Earlier, soon after the Question Hour began, Congress leader Mallik-arjun Kharge wanted to raise the issue of Rafale deal but Mahajan said the matter can be raised during the Zero Hour. Lok Sabha proceedings were disrupted as vociferous protests and sloganeering over various issues forced Ms Mahajan to adjourn the House till noon.